Shopping for a new Chevrolet Corvette? From Z51 to Z07 to ZTK, Chevrolet offers a performance package for each model that improves its already impressive performance. Choose one if track driving is your goal. Every Corvette delivers power and performance, but the Grand Sport emerges as the track star with a reasonable price and a livable ride. The 2019 Chevrolet Corvette is an American icon and a performance bargain that is offered in a variety of flavors. It comes in Stingray, Grand Sport, Z06, and the new ZR1 models, as well as coupe and convertible body styles. Performance rises as you move up the ladder. Low-slung and wide, the C7 Corvette is bedecked with scoops, spoilers, and ducts that either distract from the look or add to its sinister appearance, depending on your perspective. It has the air of a supercar, especially the new ZR1. The interior isn’t as bold, but it’s modern and driver-focused with trim that fits the price. Performance is the Corvette’s calling card, and it’s baked in from the base model all the way up the lineup. Both the base Stingray and the step-up Grand Sport boast a 455-horsepower 6.2-liter V-8 that launches the car to a 0-60 mph time as low as 3.6 seconds. An optional performance exhaust increases horsepower to 460. While the base Corvette handles well, a Z51 package stiffens the suspension, upgrades the brakes, tweaks the aerodynamics, and adds an electronically controlled limited-slip differential to improve performance and track endurance. The Grand Sport features a wider rear end to fit larger high-performance tires that ramp up the grip. Aero improvements and Z06 suspension components also improve the Grand Sport’s track resume. With its supercharged 6.2-liter V-8, the Z06 delivers 650 hp and 650 pound-feet of torque, which enables a 0-60 mph time less than three seconds. A Z07 package for the Grand Sport and Z06 adds even more track-focused features to these already capable cars. The new ZR1 is even crazier. 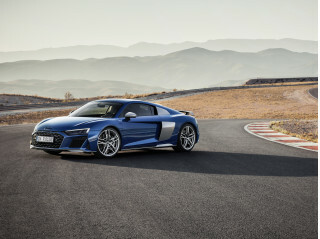 It’s version of the supercharged 6.2-liter V-8 turns up the heat to 755 hp and 715 lb-ft of torque. The ZR1 offers a ZTK package with a big rear wing and an even stiffer suspension. The ZR1 is even quicker than the Z06 and it tops out at 212 mph. Both put up numbers to rival supercars. All Corvettes offer a 7-speed manual transmission with downshift rev matching or a quick-shifting 8-speed automatic with paddle shifters. The Corvette’s interior is large enough for a pair of sizable adults. They sit on supportive base seats and track-ready sport buckets are available. The hatchback body style offers about as much cargo space as a sedan’s trunk. The convertible’s trunk is larger than that of other droptops and its power soft top opens or closes at speeds up to 30 mph. Once inside, occupants will find the Corvette is well-equipped. It comes standard with leather upholstery, an 8.0-inch touchscreen infotainment system, a nine-speaker Bose audio system, Apple CarPlay and Android Auto compatibility, and a wi-fi hotspot. The available Performance Data Recorder can record video, lap times, and various telemetry data that owners can use for bragging purposes. We think it’s especially trick. The Corvette has not been and likely will not be crash-tested. It also offers a small set of safety features and is one of the few cars on the market without forward-collision warnings with automatic emergency braking. Low-slung and brash, the 2019 Chevrolet Corvette looks almost exotic. Squint and the Corvette’s stance and profile go back three generations. It sits wide and low, with a long hood, a sharply raked windshield, and an abbreviated tail. But the details mark the C7 as entirely different than anything that came before. Sharp creases intermix with smooth curves, planes warp where they intersect, and scoops, vents, spoilers, and wings can give it a busy look but also lend to its exotic character. That’s especially true of the ZR1, which has a massive hood scoop and bigger ducts for cooling, and is available with a high-set wing and wheels that were clearly influenced by Ferrari. The C7 is a car for the times. Bold and brash and unapologetic, but how will it’s design age? That’s important for a car that costs $60,000 to $130,000. We’re not quite sure. Inside, the look isn’t as extroverted, but it’s simple, modern, and driver-focused. It’s also appropriately upscale, with premium trim choices and plenty of soft-touch materials. A large handle from the center console to the center stack makes the controls feel like they are contained within a pod that includes the driver. It also provides a sturdy handle for passengers to grab when the driver attacks the corners. A digital instrument cluster with displays that change by mode teams with the standard 8.0-inch center touchscreen to provide a tech-rich feel as well. Every Corvette is fast, but the Grand Sport is the performance bargain and the Z06 and ZR1 match supercar numbers. The Corvette was already a performance value before Chevrolet introduced the 755-hp ZR1 for 2019. It has performance to meet or beat supercars, and now Chevrolet offers four levels of performance from which to choose, each with a compelling story. It starts with the 455-hp Stingray ordered with the optional Z51 handling package, moves up to the more track-focused Grand Sport, progresses to the 650-hp Z06, and tops out with the ZR1. Three engines, four models, and three performance packages allow buyers to choose the level of performance in their Corvettes. The base engine, GM’s LT1 6.2-liter V-8, makes a strong 455 hp (460 hp for those who order the performance exhaust). What a way to start? It launches the Corvette from 0-60 mph in a scant 3.7 seconds with the 8-speed automatic and down the quarter mile in 11.9 seconds, singing a thunderous tune all the while. The 7-speed manual costs a tenth of a second for each sprint. While the extra performance equipment of the Z51 package is money well spent, the Grand Sport is an even better choice for those who want to drive the wheels off the Corvette. It uses the LT1 V-8 but adds aerodynamic elements and a wider rear end to fit bigger high-performance tires. 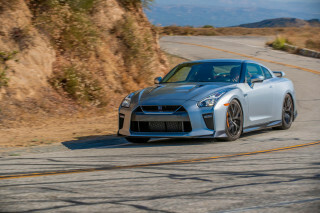 The added grip drops the 0-60 mph and quarter-mile times to 3.6 and 11.8 seconds, respectively. (Check out our Corvette Grand Sport first drive.) A Z07 package costs about $8,000 and ups the performance further with carbon-ceramic brakes, Magnetic Ride Control dampers, even grippier Michelin Pilot Super Sport Cup 2 tires, and even more aerodynamic components. It’s track-ready from the dealer floor. The next step up should be more than enough for anyone. The Z06 is powered by GM’s supercharged 6.2-liter LT4 V-8. It churns out 650 hp and 650 lb-ft of torque. 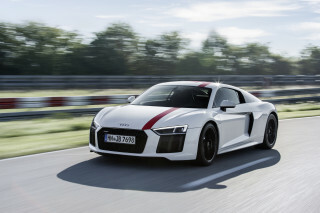 Pair it with the manual gearbox and it slays the 0-60 mph run in 3.2 seconds. The automatic makes it even quicker: 2.95 seconds. A Z07 Package is also offered for the Z06. The Z06 was king of the hill until 2019. Now Chevy has the ZR1 with its LT5 supercharged 6.2-liter V-8. This monster spins up 755 hp and 715 lb-ft of torque. It hits 60 mph in 2.85 seconds and can reach 212 mph. It’s a supercar. A ZTK Track Performance Package for the ZR1 adds a performance-tuned suspension, the Sport Cup 2 tires, and an adjustable carbon-fiber rear wing that can contribute 950 pounds of downforce. That wing is balanced by an upside-down wing up front. 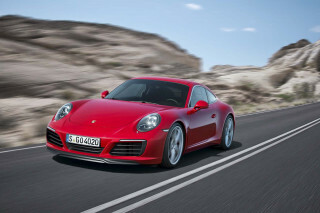 All engines are mated to a 7-speed manual transmission with short, positive throws and downshift rev matching. 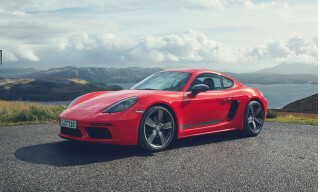 The 8-speed automatic shifts as quickly or quicker than Porsche’s outstanding dual-clutch transmission, be it via the computer or the steering wheel shift paddles. The Corvette manages to transfer its incredible power the tarmac efficiently, especially the Z51, Z06, and ZR1 with their electronically actuated rear differential. Drive modes either reign in the Corvette and soften the ride to a reasonable level or let drivers play with the tail in corners. An aluminum-intensive architecture gives the Corvette a strong structure. It stays flat through corners and its wide tires stick to the pavement to the tune of more than 1g of lateral grip. Its electric-assist power steering is quick, heavier by driving mode, and offers pleasing feedback. Chevrolet developed the Corvette as a roadster from the beginning, so the convertible doesn’t suffer much, if any performance penalty. The droptop also doesn’t shudder over broken pavement. The 2019 Chevrolet Corvette fits two comfortably, and its interior materials are a match for its prices. The eight-way power adjustments of the base seats in the entry Stingray model team with a standard power tilt/telescopic steering wheel to allow occupants of almost any size to find a comfortable seating position. They’re sporty, too, with enough bolstering to keep riders planted while attacking the esses. However, the available Competition Sport seats are race-inspired and even more form-fitting for canyon blasts and track duty. In total, cabin space is snug but not tight. It will accommodate occupants taller than 6-feet and 200 pounds, though head room starts to get tight for very tall folks. The small-diameter, flat-bottomed steering wheel even allows space for those with some extra girth. Chevy provides cubbies and bins to store small items, too, which sports car makers often overlook. The hidden compartment behind the infotainment screen is especially clandestine, and it includes a jack to plug-in your phone. The coupe’s hatchback body style allows it to swallow 15 cubic feet of cargo, about as much as a mid-size sedan’s trunk and more than the vast majority of sports cars. That makes the Corvette a somewhat practical choice in its segment. The convertible has a trunk with 10 cubic feet of cargo storage, which is, again, more than the rivals. The only disclaimers are that owners of previous-generation Corvettes might be used to more cargo room, and the ZR1’s rear wing creates a tall liftover and threatens to pinch fingers when loading the hatch. The power-operated convertible top has no manual latch, so it can be raised or lowered at speeds up to 30 mph. When open, the cabin is subject to more wind buffeting than is typical for a convertible, but a dealer-installed wind blocker can help. While Corvettes of the past have disappointed for interior quality, the C7-generation’s cabin materials match its prices. Anywhere the driver reaches is either a soft-touch surface or a premium trim material, like the carbon-fiber center stack surround. Integrating the passenger climate controls into the outboard vent is also a nice touch. These efforts show the Corvette is more than just an average sports car, but it can’t match the care and quality put into the Mercedes-AMG GT and Porsche 911—even the Porsche 718. While the GT and 911 are more expensive than the ’Vette, Chevrolet would do well to aim for the fit and finish of the 718. The Corvette is one of very few cars that doesn’t offer forward-collision warnings with automatic emergency braking. The 2019 Corvette is equipped with four airbags for both passengers, a rearview camera, and that’s all. No active safety features, don’t ask. Blind-spot monitors would help the ZR1’s prodigiously poor outward vision, but high-velocity objects rarely offer similar features: rockets don’t have rearview mirrors, either. Notably lacking is automatic emergency braking, which is life-saving stuff. For as much as Chevy asks, those should be included. Until then: head up, eyes on the road ahead, hands on the wheel please. A performance value in any configuration, the 2019 Chevrolet Corvette comes well equipped and buyers can up the performance with higher-line models or options packages. The 2019 Corvette is available in four different flavors, none mild. Base cars are the Stingray; Grand Sport, Z06, and ZR1. Trims climb the performance and price ladders. Even the 2019 Stingray gets good equipment for its $56,995 starting price, which includes an 8.0-inch touchscreen with Apple CarPlay and Android Auto compatibility, premium audio by Bose, power-adjustable seats, staggered 19- and 20-inch wheels, and leather upholstery. 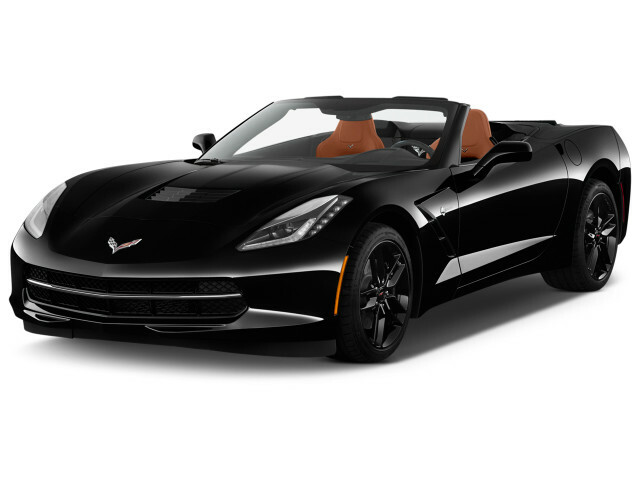 Stingrays and Grand Sports are available in 1LT, 2LT, and 3LT trims; Z06s are offered in 1LZ, 2LZ, and 3LZ trims; ZR1s are available in 1ZR or 3ZR trims. Base cars start near $57,000 and top models cost more than double—a ZR1 convertible rings the bell at more than $136,000. No amount of money buys automatic emergency braking. Chevy offers myriad ways to spec a Corvette, so we’ll hit the highlights. Interested shoppers should spend afternoons (plural) poring over options and specs for their sports cars—no two need be alike. We’re smitten with the base Stingray’s power and features, but admit few buyers will stop there. 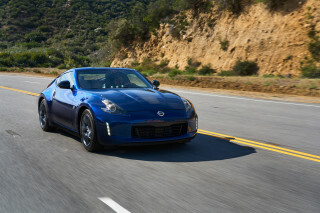 The Grand Sport is a performance bargain at about $67,000. It includes the base features plus aerodynamic bits to improve performance (front splitter, wider rear fenders, rocker panel skirts, etc. ); bigger 14.6-inch front and 14.4-inch rear brakes; summer tires; a limited-slip rear differential, and Magnetic Ride Control suspension. If we’re talking about hitting the multi-state jackpot, we’ll go in on a 3ZR ZR1 that spares no creature comforts for its superlative speed. The top trim 2019 ZR1 adds unique napa leather upholstery, heated and cooled seats, navigation, a microfiber-wrapped dash, and Chevy’s Performance Data Recorder (more on that later). A $2,995 track package turns the ZR1 into a hero with sticky Michelin Pilot Super Sport Cup 2 tires, stiffer suspension components, and a tall carbon-fiber rear wing. All-in, a ZR1 of our dreams could easily crest $130,000. Back on earth: stickers, wheels, covers, you name it, Chevy likely will sell it on a Corvette. What we’d suggest? Optional on most trims, but standard on any trim with a “3” in it, is Chevy’s Performance Data Recorder that can log track videos on an in-car memory stick. Not only does it replay the lap, it can also display throttle position, brake force, speed, gear, and suspension. It’s telemetry for us mortals, and beyond entertainment, it’s also educational. We highly recommend it. 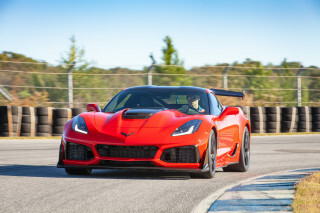 A Z51 package adds performance upgrades to base cars; Z07 packages add stouter brakes, stickier tires, and adjustable aero to Z06 cars; and so on. Also, for 2019, Chevy is offering the Grand Sport and Z06 in four Driver’s Series packages, each with a different color, fender hash marks, painted calipers, and a dash plaque, among other appearance features. The Corvette’s V-8 engines don’t sip fuel, but the base version is fairly efficient on the highway. Few people buy a 2019 Chevy Corvette for stellar fuel economy. Even fewer know that when one cruises by on the interstate, loping to the next twisty workout, it may be using just four cylinders. The Z06’s fuel-economy isn’t comparatively punishing—especially considering its supercharged V-8 spins out 650 hp. It rates 15/22/17 mpg with the manual. The automatic is close: 14/23/17 mpg, according to the EPA. The ZR1’s 755-hp supercharged V-8 is prolific in its speed and its thirst. The EPA says it guzzles fuel at a 13/19/15-mpg clip with the manual, 12/20/15 mpg with the automatic.